These codes are for the original PlayStation game, cheats for the Spyro Reignited Trilogy are found on the cheats page for that game. Hold down and on the start screen. 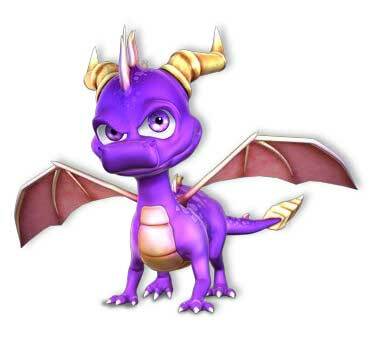 You will need to reset the PlayStation in order to get back to Spyro. Again, go into your inventory and press the following combination to be taken directly to the credits. @Icera if you turn the pengy upside down the dots are eyes < > these are flippers and the bill is the same. A Rattatta, and do dee do....I don't know the lyrics. Buy a new controller. I have two different brand ones. >.=.< Isn't the little pengy cute? > and < are eyes. . and . are flippers. = is the bill. My friend and I need the 99 lives because she might mess around but then die on accident. Without knowing about it, I tried the Crash cheat. I randomly pressed L1 and Triangle but the screen just went black. So I reset my PS1 and didn't try that again. * can you use the 99 lives code twice? the crash thing cheat wont work cuz it gives me a black screen and never ends. btw are there any color cheats???? How do you get to the iventory page? I sorta like this game.